This is an outline of what I do when I set up My Obstacle Course for Andrew. This particular course is one we did a few years ago when he was 5 years old. I like to do 20 stations, which usually takes us about 45 minutes to an hour. Don’t panic at the number! This is what works for us but you can do whatever number works for you. 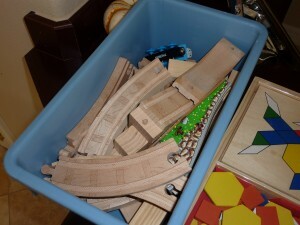 Most of the stations are crawling through tunnels or if I know that a certain activity is more challenging for him, I break it into parts so he has a chance to move in between. The station activities are only meant to take a few minutes each but they let me know right away where he is with that skill or concept. Personal Note: I consider this time with him sacred. I do not take phone calls, look at email, or fold laundry. I am there with him and he has my full attention. I have learned that he mirrors the attention and energy that I am giving him so if I am distracted or busy with something else, he will reflect that. I want him to engage and work with me so I can help him and this time disconnected from everything but him is well worth it! 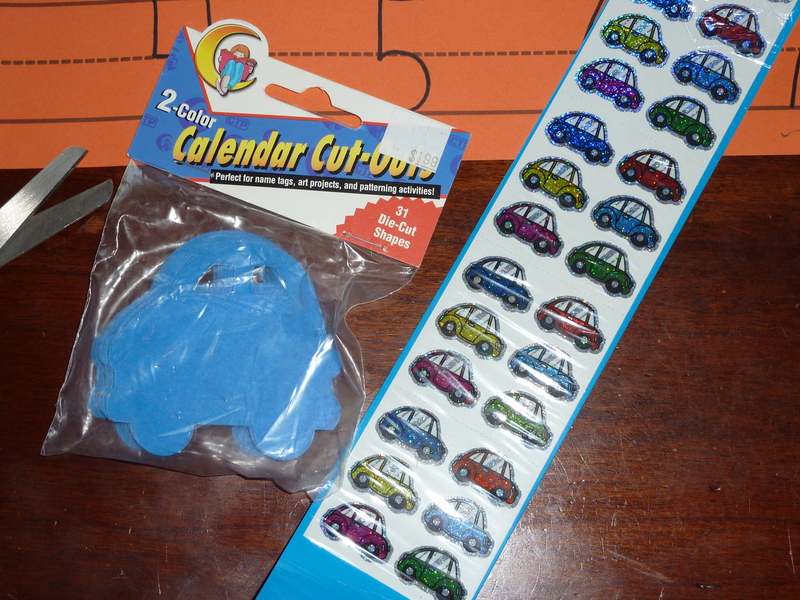 Vehicle manipulatives I got through the Scholastic book order, Scrabble letters and AquaDoodle. 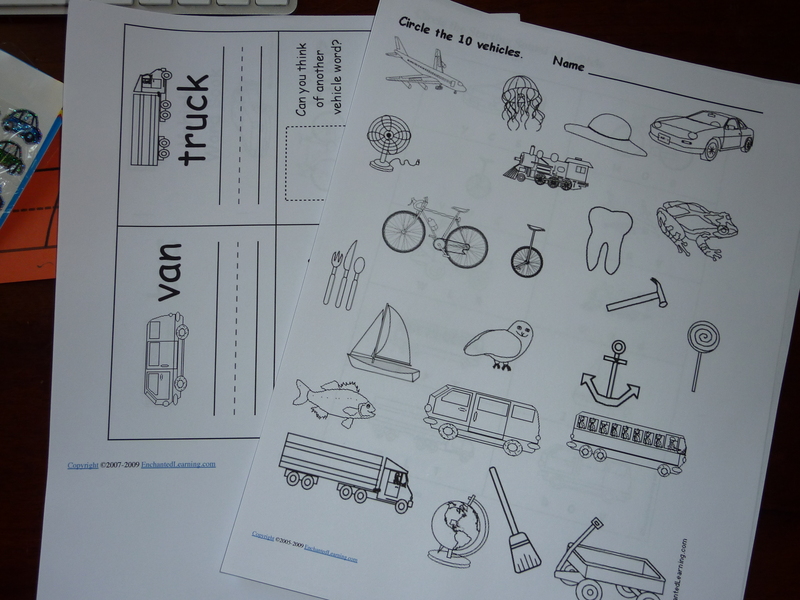 More transportation pages from Enchanted Learning's website. 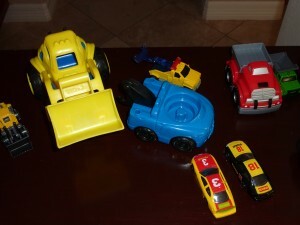 Cars and trucks found during my "treasure hunt"
Train tracks and pattern pieces (Melissa and Doug) also found during "treasure hunt"
Social- hello! how are you doing? 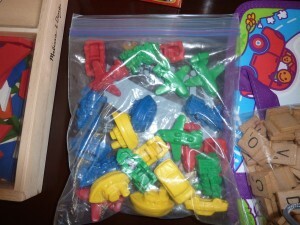 Math- vehicle manipulatives sorting (land, water, air) – which has most? which has least? how many in all? Now is time for set up, which is easy because materials are gathered, plan is made. 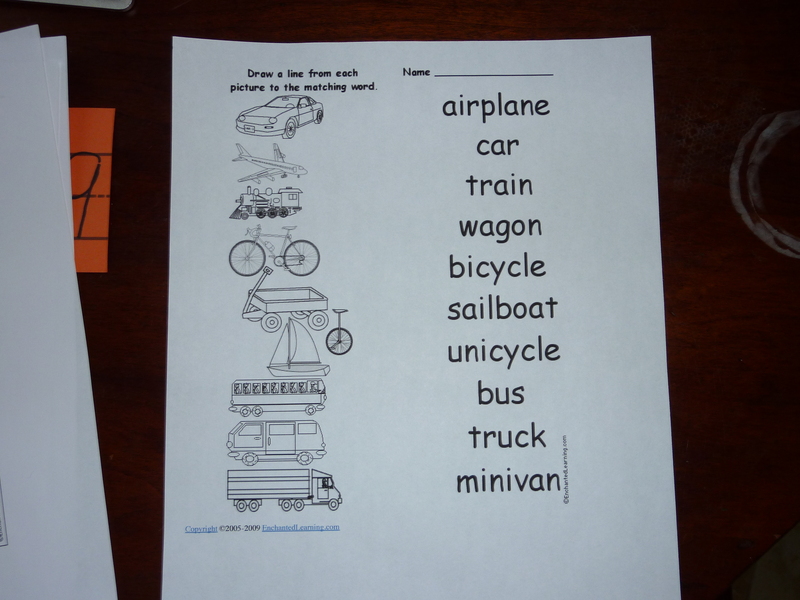 Just a matter of arranging materials and doing some basic things like cutting, pasting and writing out some words.